대불정여래밀인수증요의제보살만행수능엄경은 줄여서 ‘대불정수능엄경’또는 ‘능엄경’이라고도 하며, 부처님의 말씀을 머리 속으로 이해하는데 그치지 않고 자신이 직접 경험하여 얻을 것을 주요사상으로 하고 있다. 대불정여래밀인수증료의제보살만행수능엄경 권6∼10(大佛頂如來密因修證了義諸菩薩萬行首楞嚴經 卷六∼十)은 당나라의 반자밀제(般刺密帝)가 번역한『능엄경』10권 가운데 권 6∼10에 해당하며 5권이 하나의 책으로 묶여있다. 나무판에 새긴 후 닥종이에 찍어낸 것으로 크기는 세로 26.1㎝, 가로 16.6㎝이다. 책 끝부분에는 고려 공민왕 21년(1372)에 경기도 안성의 청룡사에서 간행했으며, 김호와 영암군부인 최씨가 시주를 하였다는 기록이 남아있다. 인쇄상태가 깨끗하지 못한 것으로 보아 처음 찍어낸 것이 아님을 알 수 있으며, 종이질과 표지의 제목 등으로 미루어 보아 고려시대에 찍어낸 것으로 보인다. 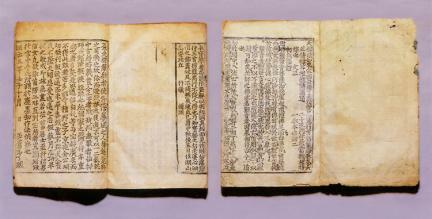 Suneungeomgyeong Sutra is the essential sutra for learning about Buddhism. Its main idea is to have one’s own power through direct experience and training, not stopping at just understanding the words of the Buddha. 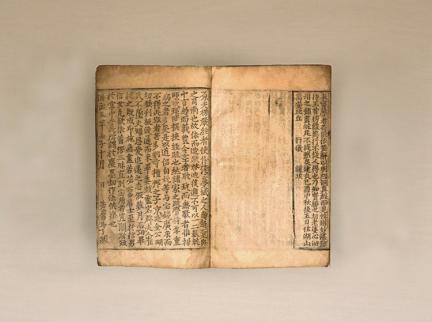 This book has Volumes 6 to 10 of the originally translated Surangama Sutra, which was translated by the Tang Chinese Banjamilje, bound into a single volume measuring 26.1 cm x 16.6 cm, and printed from engraving on wood blocks. It is displayed in Leeum Samsung Museum of Art. 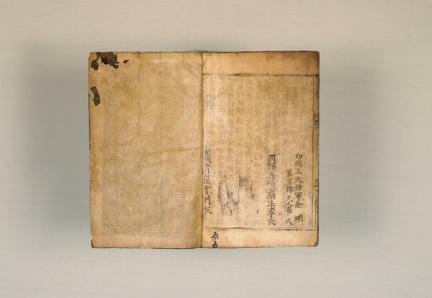 The end of book has a note saying that it was published at Cheongnyongsa Temple in Anseong in 1372, the 21st year of the reign of King Gongmin of Goryeo, that Kim Ho and the Lady Choe of Yeongam-gun donated it, and that Princess Jeongsunongju prayed for its successful publication. 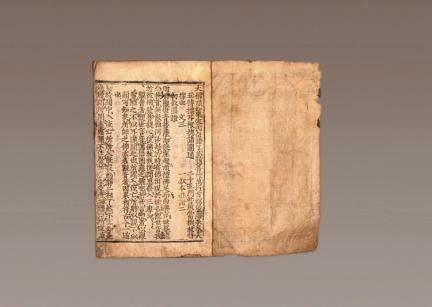 Judging from its poor printing status, it is probably an initial print, and from the paper quality and the title page it appears that it was printed in Goryeo.